Sunday, the Sheriff's Office said they believe Andreen Nicole McDonald is no longer living. SAN ANTONIO — Bexar County Sheriff Javier Salazar told media Sunday that they have arrested the husband of a missing 29-year-old woman. No friends, family or business associates had seen or heard from Andreen Nicole McDonald since Thursday, Salazar said. BCSO executed a search warrant at the McDonalds' home and found a shovel, an ax, work gloves and gasoline that had been recently purchased. Salazar said this led them to believe that Andre McDonald was going to dispose of a body. BCSO believes he didn't have a chance to dispose of the body yet. "At this time, we believe Andreen McDonald is no longer living," Salazar said. Salazar added that they are looking in ravines and creek beds with cadaver dogs. Andre McDonald has been arrested and charged with tampering with evidence. Salazar said his bond will be set very high. If he does make bond, Salazar said he will get a GPS or house arrest to allow BCSO to keep investigating. McDonald works for the U.S. Air Force at Lackland Air Force Base. Salazar said McDonald's mental health is not in question and that he is a highly intelligent man who works in the cyber warfare field. Public records indicate that Andre McDonald filed for divorce from Andreen in 2017, but later withdrew it. 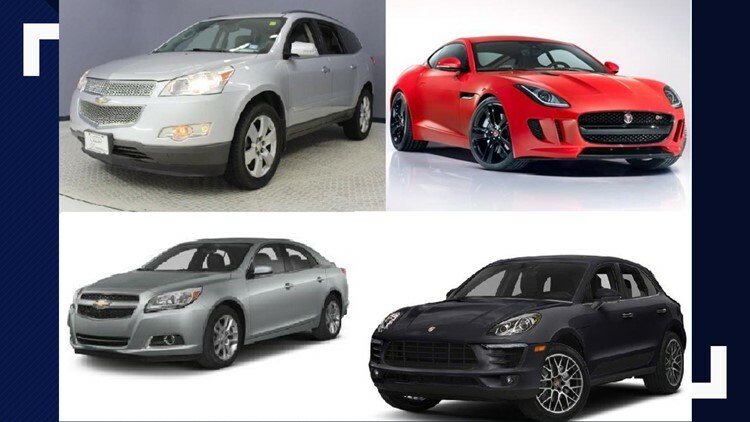 Earlier Sunday, Bexar County authorities released pictures of four cars they are looking for in the search for Andreen McDonald. They believe the woman could have been the victim of foul play. The sheriff's office said the cars may have been seen in a wooded area or driving suspiciously. The Sheriff's Office said McDonald never showed up to work Friday and did not return to her residence, located near Canyon Golf and Wilderness Oak. The missing 29-year-old is 5'11, weighs 160 lbs. and has black hair and brown eyes. Salazar acknowledged that it was possible that McDonald had voluntarily left the country. However, McDonald left behind personal items that someone would normally take with them when traveling, which is why authorities believe she is missing under suspicious circumstances. In a Saturday evening update, Salazar said McDonald's husband, currently serving as a major in the U.S. Air Force, is a person of interest in the case. The sheriff said that when deputies made contact with him, "he quickly asserted his rights to legal counsel and refused to speak to us." Later, authorities noticed the husband leaving the house on surveillance they placed around the property. He was later discovered to be in a gun shop, where Salazar said he purchased a handgun and ammunition. "(He) departed the store in a hurry; so much so that he left the gun he just purchased and his identification behind in the store." Salazar said. Deputies later detained him outside his residence "due to a possible mental issue." Because of his active status with the U.S. military, military investigators are also involved in the case, as well as FBI. Salazar also said they've obtained a second search warrant for the residence. "There is some blood evidence in this case that we're looking into," he added. He later confirmed that it was human blood. On Monday, dozens of volunteers joined in the still-ongoing search for McDonald's body. The couple has a 6-year-old daughter with autism, Salazar said. He said she is nonverbal and BCSO believes she may have seen something happen to her mom. The Sheriff's Office is asking that anyone with information on McDonald's whereabouts or interested in sharing surveillance footage from the 1000 block of Solitude Cove, call (210)-335-6000 or email missingpersons@bexar.org or bcsotips@bexar.org.